Our Laymen’s League tried something new. We held a BBQ Pork Fundraiser/Outreach on May 9, 2013, and it was really successful! 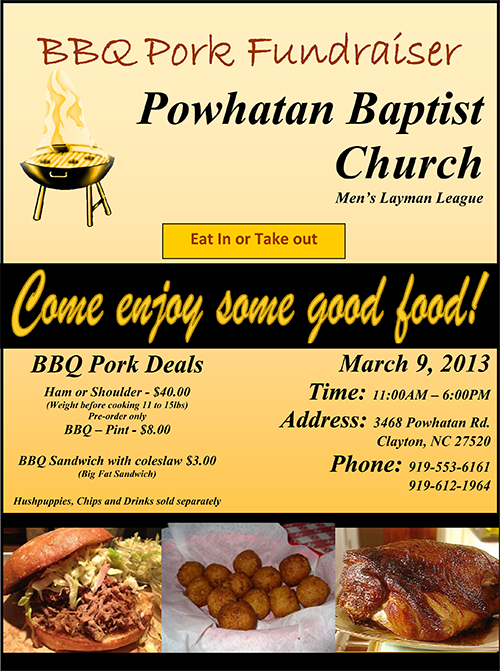 We sold out early, and everyone enjoyed the great food and fellowship. When we schedule another one, we’ll post the information here!